Inspired by Lutyens’ New Delhi Vistas, the room allocated as the kitchen, dining and utility facility, stretched from the front right through to the back of a huge house in Holland Park. Symmetry was the dictum and evolution the processes employed on this project. After installing the waste and other services the floor was laid in sheets of beech marine ply, screwed and glued every six inches. 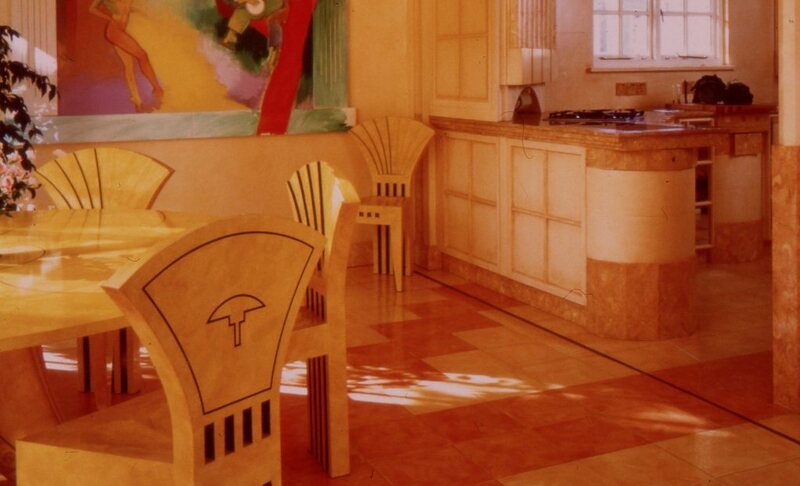 The furniture elements were made up in a number of workshops around the country and installed along with high-tech, state-of-the-art appliances. The entire arrangement of marine ply and medium density fiberboard was sprayed with undercoat prior to application of a marbling effect. The “Post-Modern Palace” created by Charles Jencks and his wife, Maggie Keswick, heiress to the late John Keswick’s Jardine Matheson empire, employed a cocktail of Post-Modernist talent. 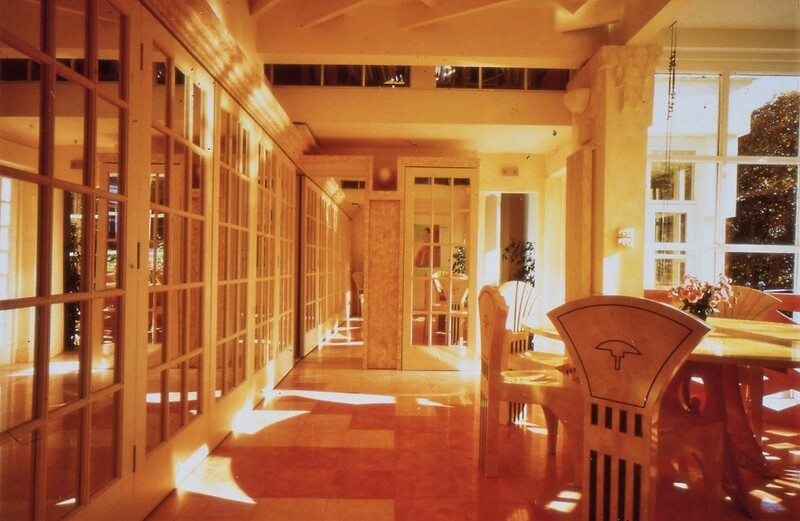 Among the contributors were Britain’s Tery Farrel and America’s Michael Graves, each assigned various rooms. 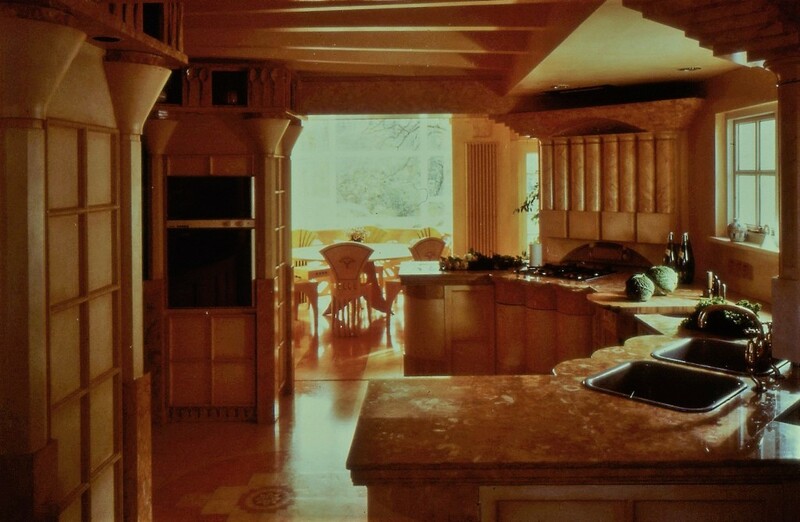 Mark Lewis’ involvement was to develop the kitchen, working together with Charles Jencks and Johnny Grey, in maintaining the design conservation until every drawing was signed and committed to production. 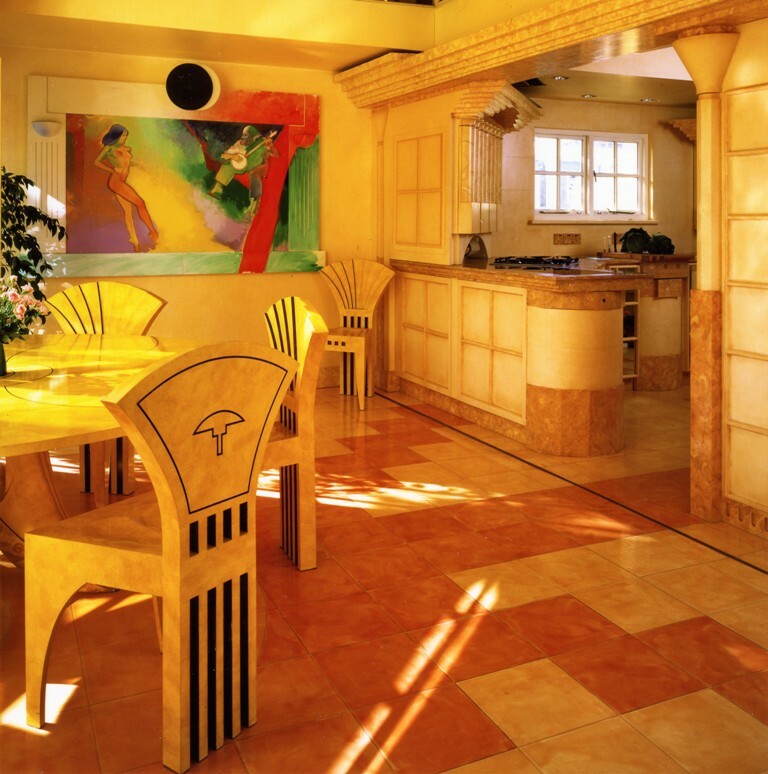 Mark Lewis supervised the manufacture, fitting and finishing, personally sanding every inch of the sprayed white undercoat in preparation for the hand finished marbling, which was to complete the illusion that the whole room had been carved out of solid rock.